The Syrian Arab Air Force cannot carry out operations after daylight hours, Russian Foreign Minister Sergey Lavrov said Wednesday. 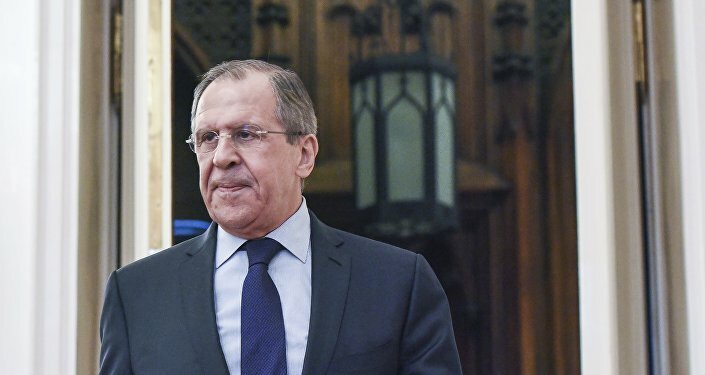 MOSCOW (Sputnik) — The Syrian Arab Air Force could not have been involved in a recent attack on a humanitarian aid convoy in the vicinity of the Syrian city of Aleppo as it cannot carry out operations after daylight hours, Russian Foreign Minister Sergey Lavrov said Wednesday. On Monday, the UN officials said that an aid convoy was hit near Aleppo and there were casualties. Several western officials, including the ones from the White House, have blamed the attack on Russia and Syria. The Russian authorities have refuted the allegations. "Our military have already made statements that our aircraft did not operate here. The Syrian aircraft could not have operated [there], because the attack against the convoy was conducted in the night time and the Syrian Air Force does not perform flights in this time, it has no such capabilities. The attack took place after humanitarian cargo had already been offloaded in eastern Aleppo," Lavrov said as broadcast on the Rossiya-1 television channel. Following the attack, the Russian Defense Ministry announced that it had studied video of the attack and said neither Russian nor Syrian government munitions had hit the aid convoy. The ministry has repeatedly stated that Russia launches its airstrikes with advance air surveillance and careful verification of data provided by the Syrian military. Russian Defense Ministry spokesman Maj. Gen. Igor Konashenkov said that analysis of the attack footage revealed no signs of bombs, suggesting that fire traces resulted from the offensive launched by Jabhat Fatah al Sham, formerly known as Nusra Front (outlawed in Russia).